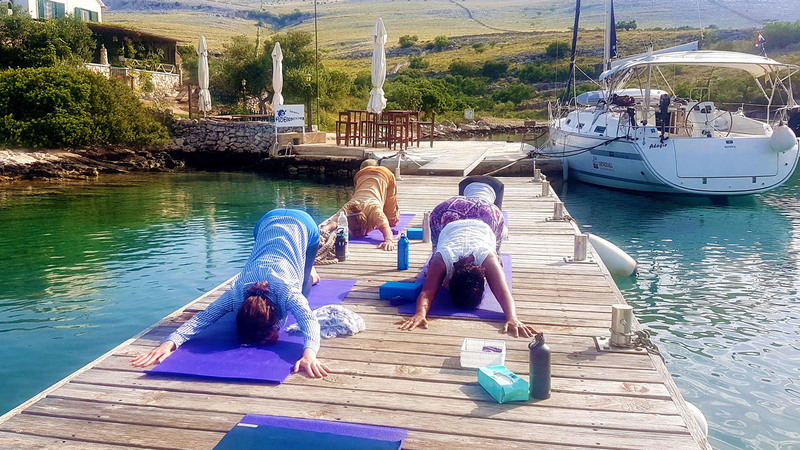 We have the pleasure to announce that the Vegan (& Vegetarian) Yoga & Sailing Retreat we led this year with Naleia Yachting International in Croatia has been received very well by all our attendees, and as a result we will be running two more retreats on 2019! These are available to book now. “You instantly warm to Paula. She has a natural calmness and bubbly charm that makes you want to find out more. We will share the yacht with other open-hearted people, cook on-board, and occasionally visit charming local restaurants. Daily holistic yoga sessions will help us draw the attention inwards to experience the unspoiled beauty of Croatian coasts in-depth. We will have one yoga session in the morning and a restorative one in the evening, with sailing in-between. Both activities will be led by certified teachers. The yoga practice will combine hatha-yoga with meditation, relaxation, mindfulness, cleansing and breathing techniques, and chanting, and will be suitable for all levels. We will stretch, de-stress, and boost energy, ending up feeling restored and rejuvenated, with a profound sense of bliss and union.